It has been 15 years since I have built an HO scale layout and I wanted to try out some new techniques that I have learned since then. 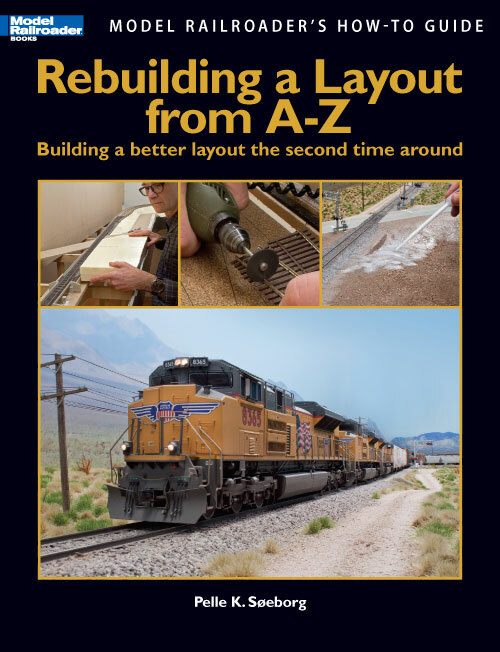 In addition to the guidance of the local train group, I have turned to a book written by Pelle K. Soeeborg entitled Rebuilding a Layout from A-Z. The following pages record my experience in building this module. I chose to build a 2' x 5' module of a place where Dad and I would go to watch trains when I was growing up. Cridge Street is a road that passes over four tracks belonging to the BNSF Railway, Union Pacific, and Metrolink. BNSF has two mainlines that are part of the transcon from Los Angeles to Chicago. A single Union Pacific line interchanges with the BNSF track from Los Angeles. Cridge Street is also the throat to the Riverside-Downown Metrolink Station. Metrolink commuter trains run from this station west to Los Angeles and Oceanside and east to San Bernardino. Amtrak's Southwest Chief also passes over these rails. This mix of passenger and freight traffic make this a great place to watch trains! I plan to use this module as a photo backdrop for finished models. If you have never looked through one of Pelle Soeeborg's books, even if you are not modeling the present day, they are worth the read! His other books include Done in a Day and Detailing Projects for Freight Cars and Locomotives as well as Mountain to Desert and Essential Model Railroad Scenery Techniques. In addition to his books, Pelle Soeeborg is a frequent contributor to MODEL RAILROADER magazine.